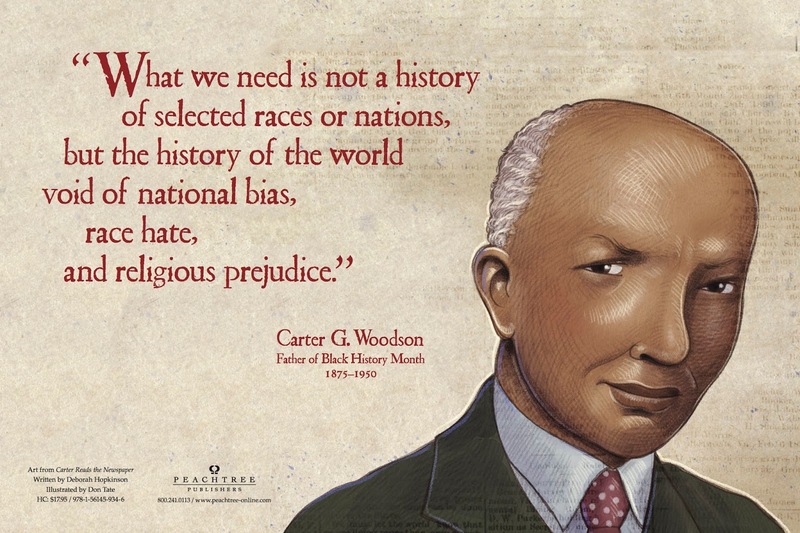 As we celebrate Black History, it is crucial we include many people's stories, not just the ones we know well. When our students study California history, we must bring to light the stories of African Americans who helped shape our state. 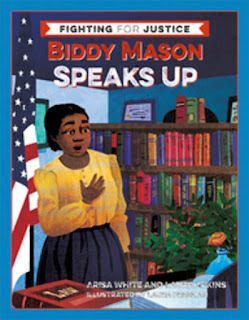 Biddy Mason Speaks Up is a terrific addition to help children learn about an influential African American woman in Los Angeles's early history. Biddy Mason was an African-American healer, midwife, real estate entrepreneur and philanthropist who lived in Los Angeles from 1851 until 1891. Born enslaved in 1818, Biddy was brought to California by the Smith family as one of their slaves, when they moved west as part of the Mormon settlement. Arisa White and Laura Atkins weave together Biddy's story with well-researched historical information, giving young readers the historical context for her life. Free verse poems, which enable readers to feel that they are getting to know Biddy in a personal way, are interspersed with historical information on slavery and midwifery, plantation life and economy, migration, the struggle for freedom, and life as a free black person. "Biddy probably grew up on a cotton plantation. 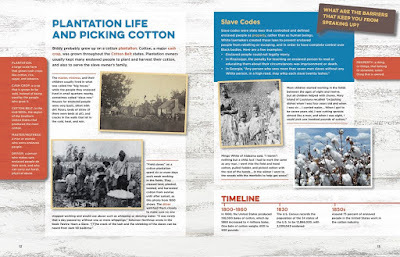 Cotton, a major cash crop, was grown throughout the Cotton Belt states." "Writing this book was a creative act of repairing the historical record, of imagining Biddy Mason's life based on all the information and stories we could gather. We believe that we are all better when we hear everyone's stories, especially those that have been silenced." Very little is recorded about Biddy's early years, and so the authors "had to imagine this time in Biddy's life using historical research, 'slave narratives' (written accounts by enslaved people after escaping slavery), and audio interviews with people who lived during the same period and in similar regions." I appreciate how they explain their process and how they used this information to paint a fuller picture. "Even though Biddy was legally free, she had to rely on her community to support her in resisting Robert Smith and the institution of slavery..."
The free verse poems remind me of Ashley Bryan's masterful Freedom Over Me. As Bryan did, White and Atkins used historical records to paint a full picture of ordinary people. This brings to life the stories of Black Americans who helped shape our country. I wonder if young students will realize that the scenes in the free verse poems did not necessarily occur, or that the authors created the character of Granny Ellen. While the authors are transparent about their process, I wonder if it will be clear to young readers. I see this book as a blend of historical fiction and historical reporting. Detailed source notes show the extensive investigations that went into writing this book. Illustrations copyright ©2019 Laura Freeman, shared by permission of the publishers. The review copy was purchased for our school library. If you make a purchase using the Amazon links on this site, a small portion goes to Great Kid Books. Thank you for your support. This is actually kinda cool -- all about the artists who shaped hip hop. Is this supposed to be a song? a rap? My high school students have loved reading The Roots of Rap. Frank Morrison's dynamic illustrations pull them in, and then Carole Boston Weatherford's text lays down the knowledge. 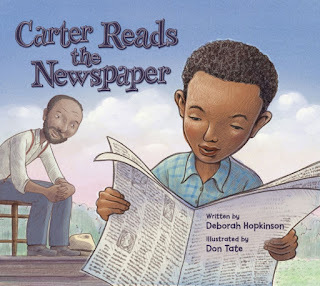 This is a terrific new picture book to share with young readers all the way through high schoolers. I'm honored to have Carole share a little about how rap has inspired her. “Hip-hop and rap aren’t often featured in children’s books,” Swizz Beatz writes in his introduction. And yet, this music speaks to our children, fills their lives. 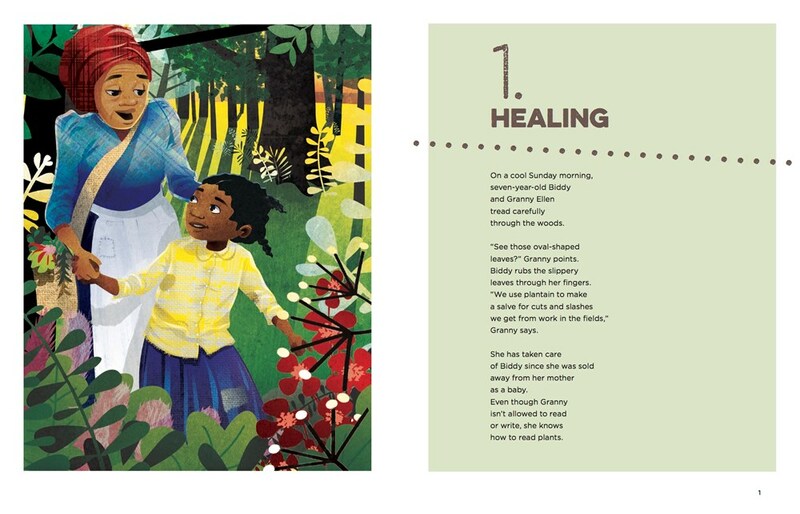 With this picture book, Weatherford helps children see that their music springs from a long tradition of poetry and music. 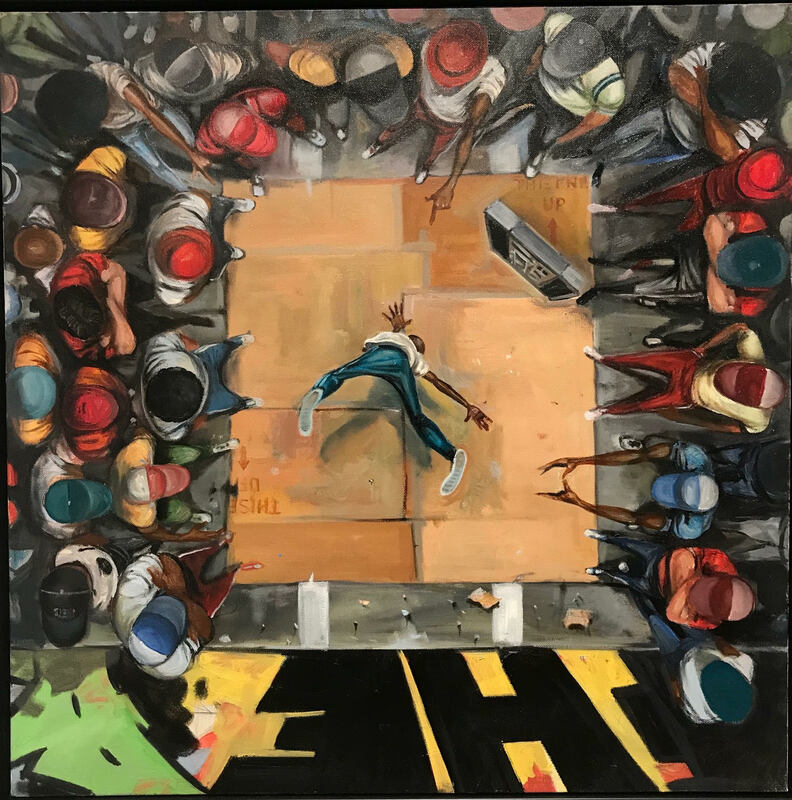 As Weatherford writes, "hip-hop is poetry at its most powerful." 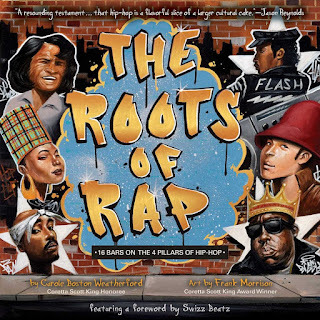 I am honored to have Carole Boston Weatherford here to share a little about how hip-hop and rap have inspired her, and what planted the seeds for this picture book. Illustrator Frank Morrison’s oil paintings in the book have a vibrancy and vitality that borders on virtuosity. 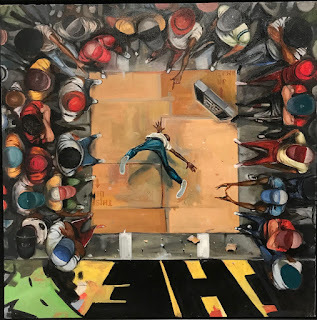 He honors hip hop legends and luminaries and shows the four pillars of graffiti, b-boying/breakdancing, emceeing and deejaying. I linger over the spreads showing youthful expression through hip hop, a culture young people are inventing. Just as my son and daughter (now young adults) reintroduced me in the 1990s to children’s books, they also hipped me to the hip hop of the day on BET and urban radio. At Super Jam, my first rap concert, I tagged along as chaperone to my daughter and her friend. Was I in for a shock!? Unlike the jazz and R&B concerts that I attended, there were no bands at Super Jam--only a deejay scratching and the emcees spitting rhymes. Thank you, Carole, for sharing a little peek into what led to this book. Illustrations copyright ©2019 Frank Morrison, shared by permission of the publishers. The review copy was kindly sent by the publisher, Simon & Schuster / Little Bee. If you make a purchase using the Amazon links on this site, a small portion goes to Great Kid Books. Thank you for your support.